See also Extendidotos by brynda1231. Info: Created on 20th November 2016 . Last edited on 28th June 2017. Why try, if nobody notices? I noticed! It’s been in my faves since last week. @Aeolien Thanks for the feedback! Can't decide on the " & " can You help me? @meek Wow, I didn't expect it, honestly. Can you tell me how to get to the Top Pick? Thanks in advance. 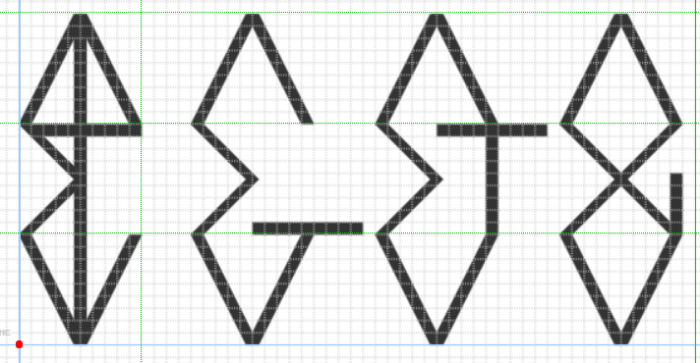 How about this kind of "&" ? I feel your pain and frustration. Fontstruct used to be a lot more vibrant and friendly place a few years ago. At present we experiencing a cold intermediary period of indifference before things will warm up again. I like the last design from you and Aeolien, it keeps the basic shapes of angles with lines on upright edges. Your second is nice but you have no horizonals in any other central position. 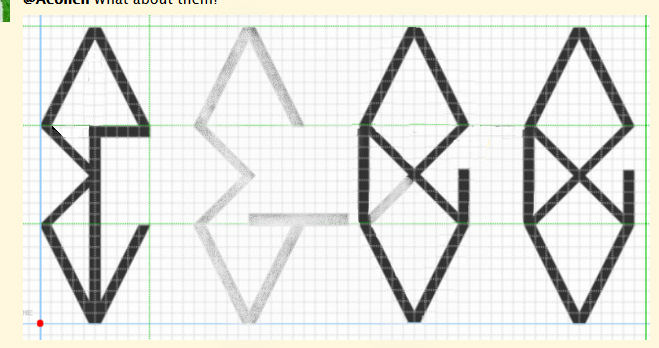 They are not bad :) but those with the horizontal lines won't fit too well. The right one is good. I added three more designs for you to look at based on the 'marquise diamond' shape of the original. Finally decided with the ampersand. Added support for "Basic Cyrillic" to "Akitodos"
Tell me, how well did I do? Nice shape, the font has my 10-10. Not just a and i need accents, the c needs the circumflex. I can't comment on the Russian because I don't know it. Interesting design. I would remove the left straight stroke from the &, though, i.e., your original far right design in the image above is more accurate. As for the Cyrillic . . . it looks fine to me. I would make the 'K" the same as the Latin 'K', though. And, if this isn't monospaced, I would widen the Cyrillic 'De', i.e., make it the same as the 'El', but with the base. Also, why are the descenders of 'Scha' and 'Tse' angled? They should mirror 'Dzhe' and 'De', or vice versa. 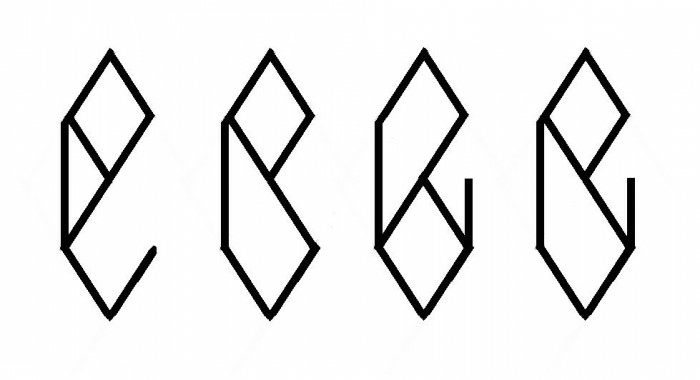 Maybe the angled descenders are based on Russian handwriting forms. I'm enjoying the progress on this one, but the W seems a bit dense to me. It's the only latin letter with three long parallel stalks – too much ink? Missing accents on some letters. Congratulations! FontStruct Staff have deemed your FontStruction worthy of special mention. “Akidotos” is now a Top Pick. @meek Thank you very much, honestly.